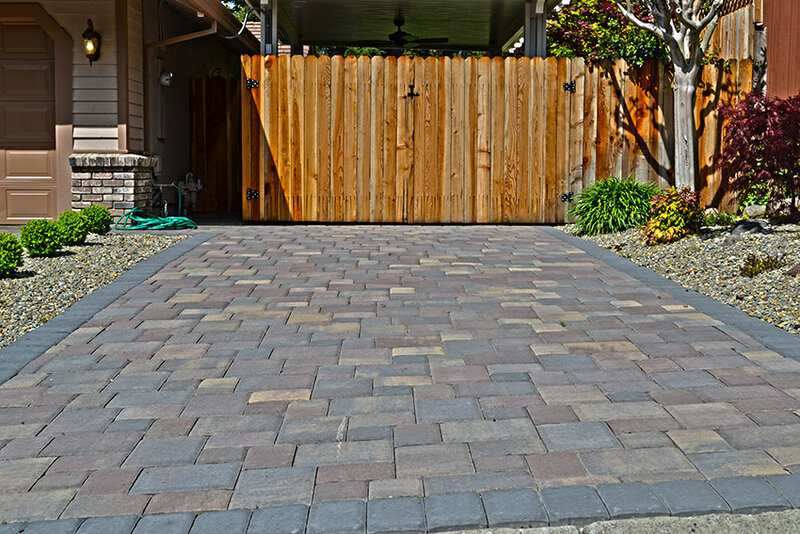 Paver stone grid driveways are an easy way to dramatically increase the adverse ecological effect you have on the environment and make your home more beautiful at the same time. 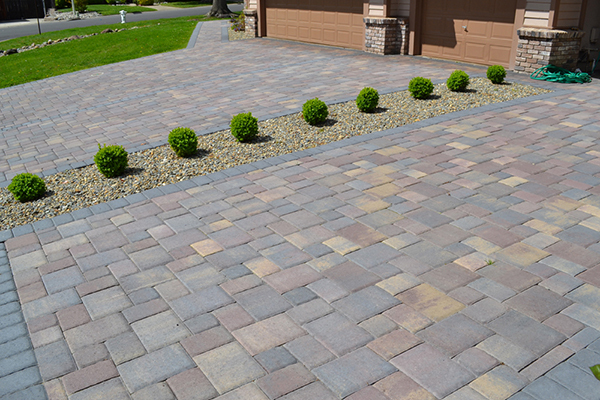 Paver stone grid driveways reduce runoff, decrease the summer effect of concrete heating, and provide more pleasing green space for the eye. 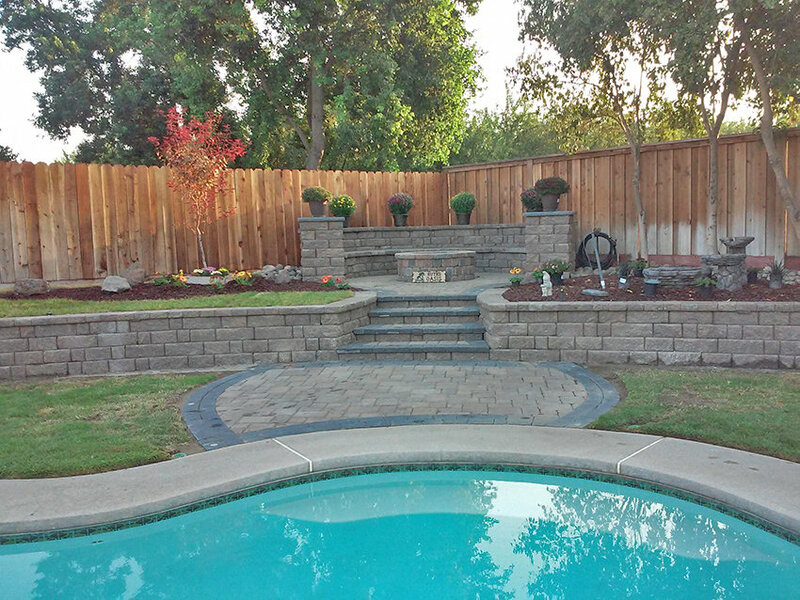 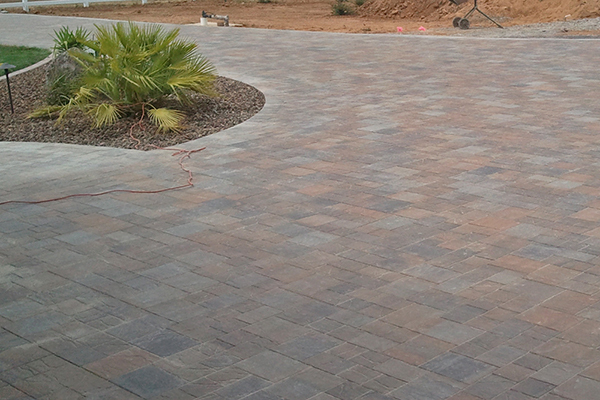 What are paver stone grids? 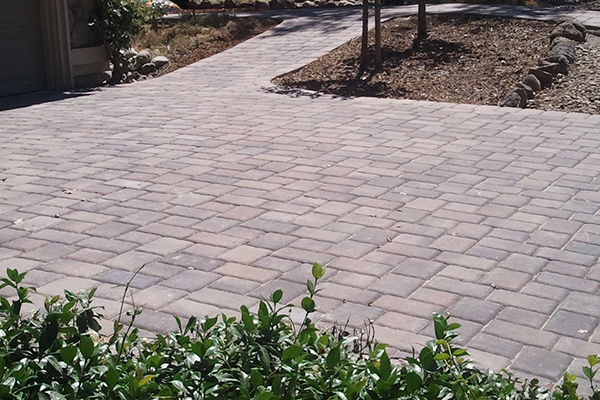 Paver stone grids are simply grids of paver stones that are designed to let grass grow up in the spaces between them. 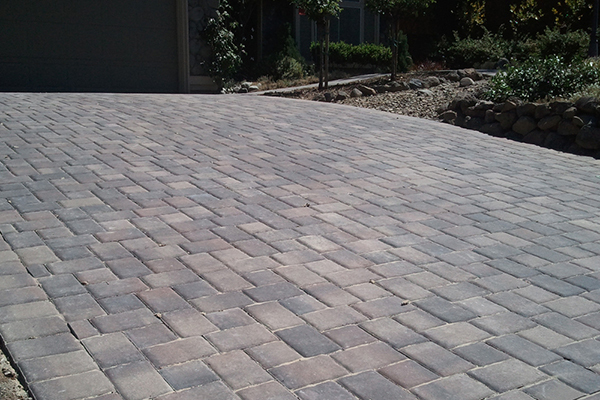 Instead of a flat expanse of concrete, pavement, or solid paver stones, you have a grid of concrete that makes a simple pattern of crisscrosses. 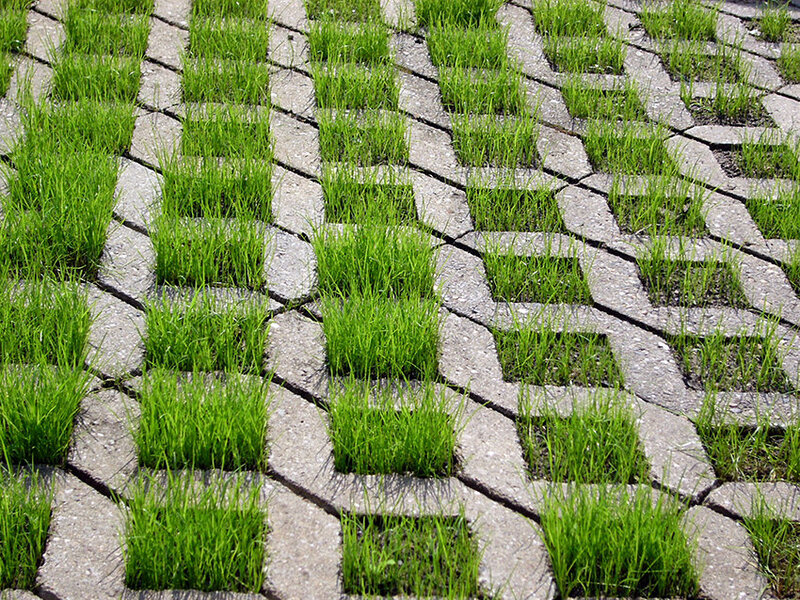 In between, there is a patch where grass is allowed to grow. 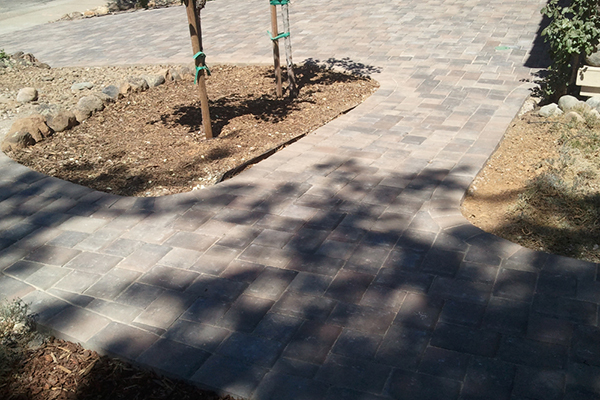 From a distance, a paver stone grid looks more or less just like the lawn surrounding it on either side. 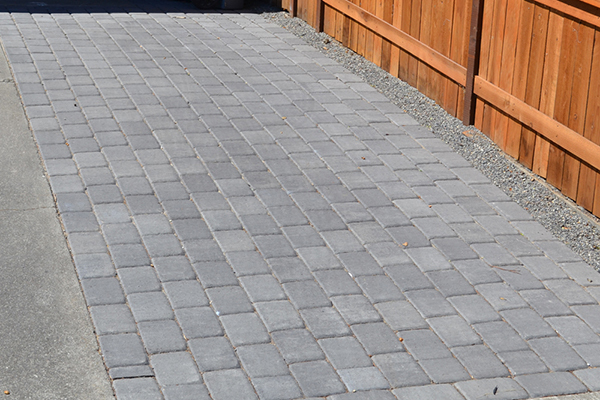 When you look closer, you can see the concrete grid. The paver stone grid gives you a place to drive or park without destroying your lawn, while the grass gives valuable ecological benefits and protection. 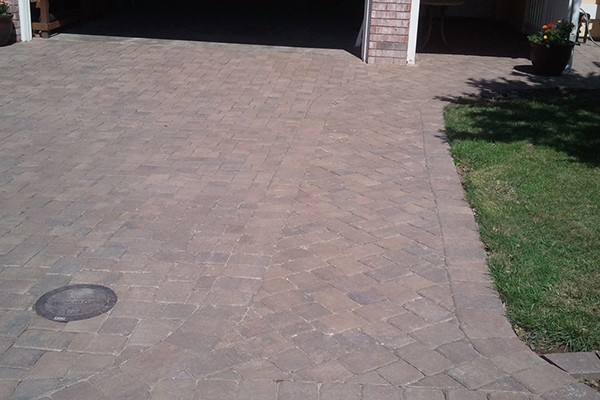 In the summer, the reflection of sunlight on concrete causes a lot of heat to build up. 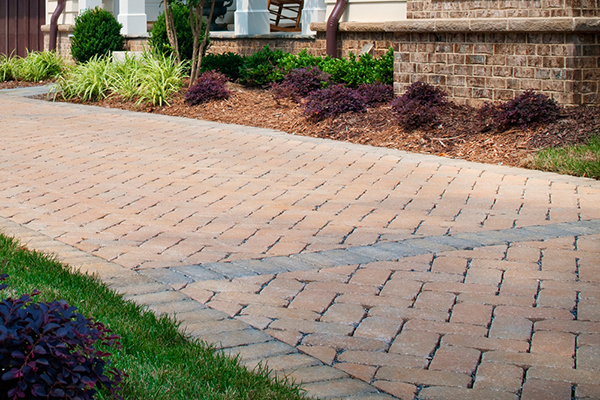 There can be as much as 10 or more degrees of difference in temperature on a piece of concrete versus on a patch of grass. 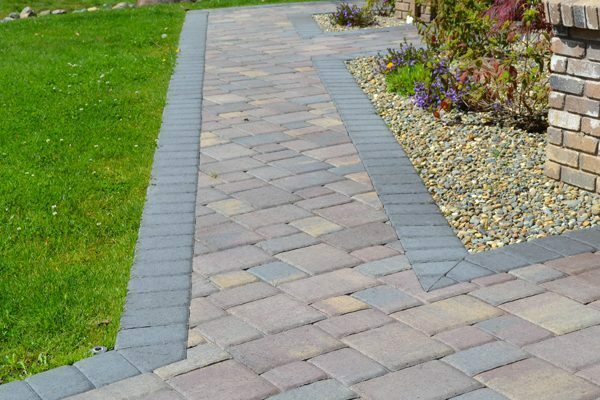 Even something as insignificant-seeming as a walkway, a driveway, or a patio can raise the ambient temperature significantly when the sun is shining on it. 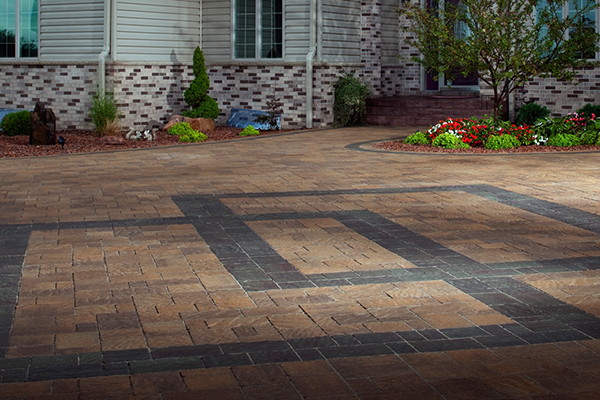 A paver stone grid driveway, walkway, or patio, with grass growing up in it, reduces or practically eliminates the light (and heat) being reflected off the pavement. 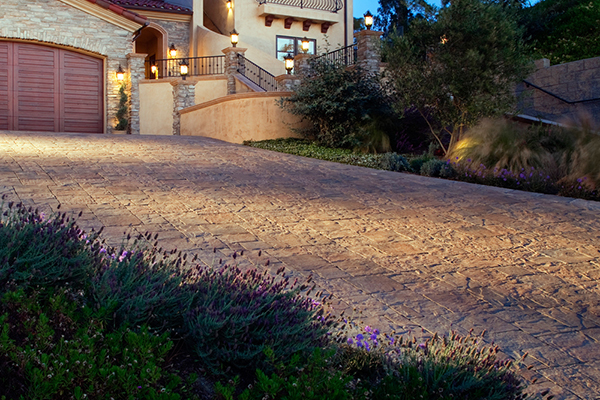 The grass absorbs the light, as grass is meant to do. This keeps the whole area cooler. 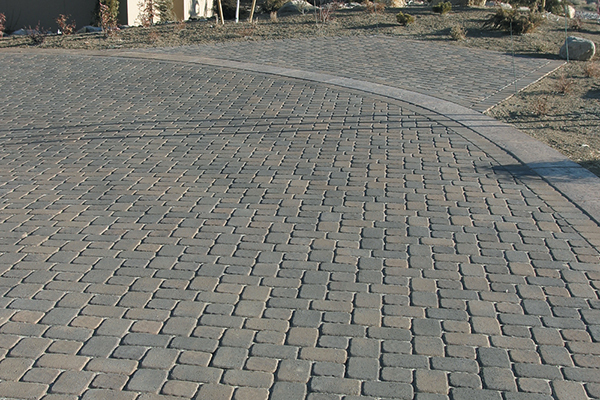 Since a paver stone grid driveway doesn’t get hot the way a conventional concrete driveway does, it is easier on your tires. 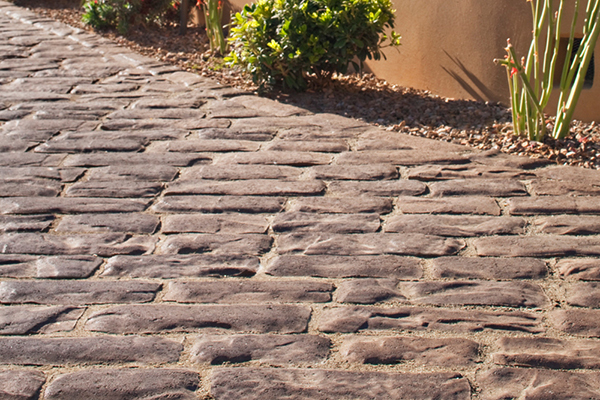 Your car does not have to work as hard to keep the engine cool. 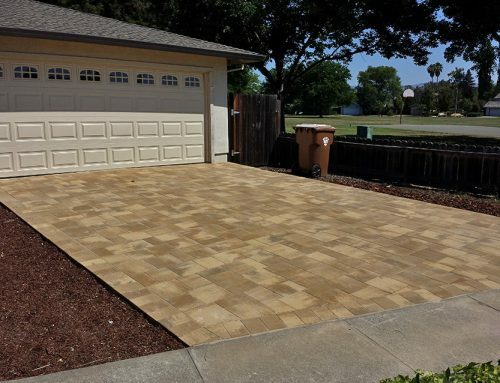 There are many benefits to driving or parking on a paver stone grid driveway in terms of protecting your car from the negative effects of excessive heat. 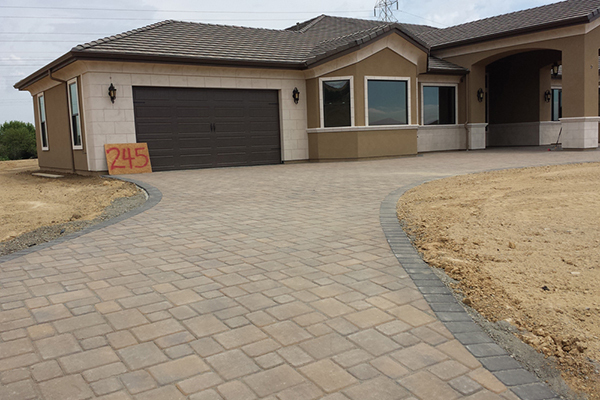 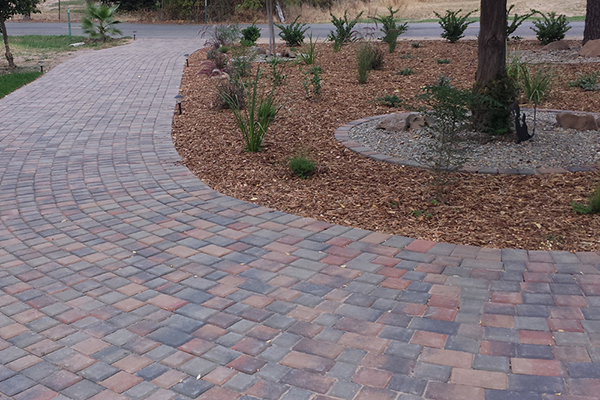 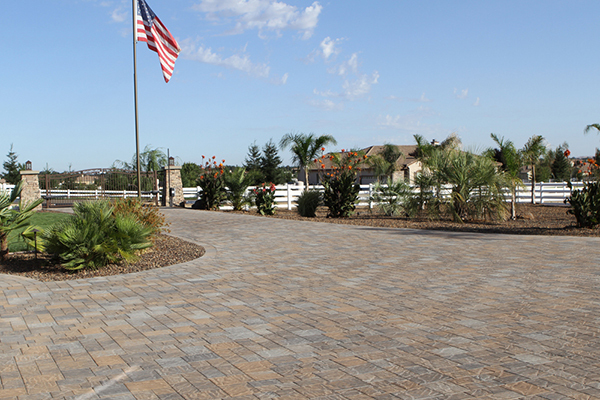 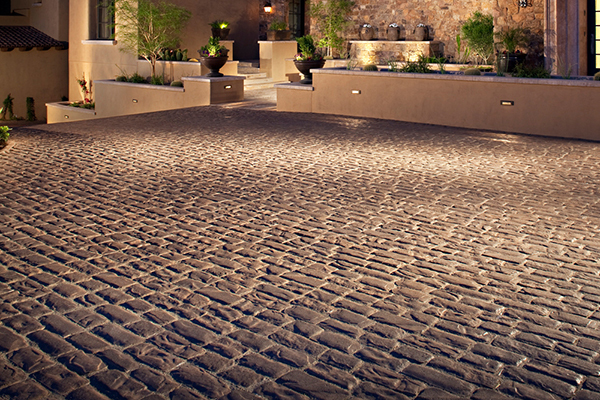 Paver stone grid driveways blend in seamlessly with the landscape. 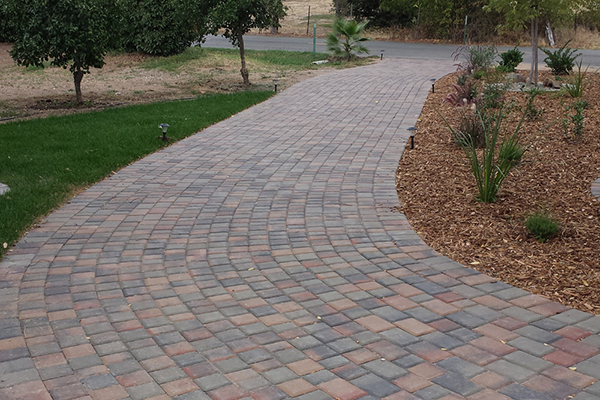 There is not a harsh line where the grass ends and the driveway begins. 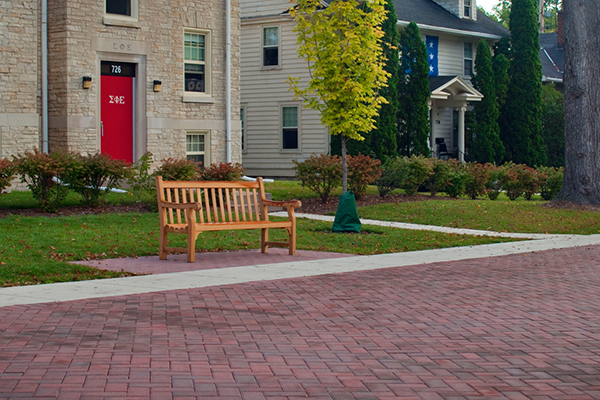 The overall effect is that of human design and architecture meshing with and working with nature, instead of packing nature into neat little boxes that don’t interfere with human life. 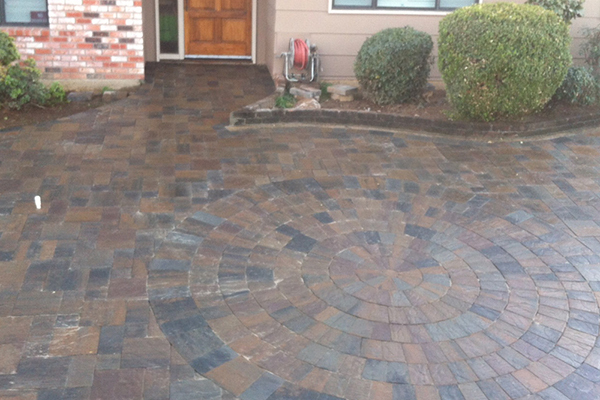 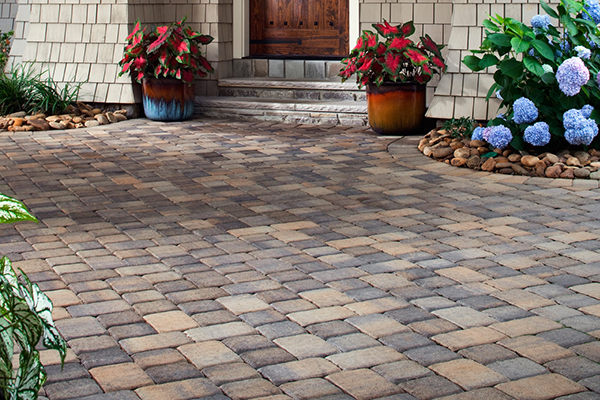 Paver stone grid driveways are great for creating a natural, rustic look. 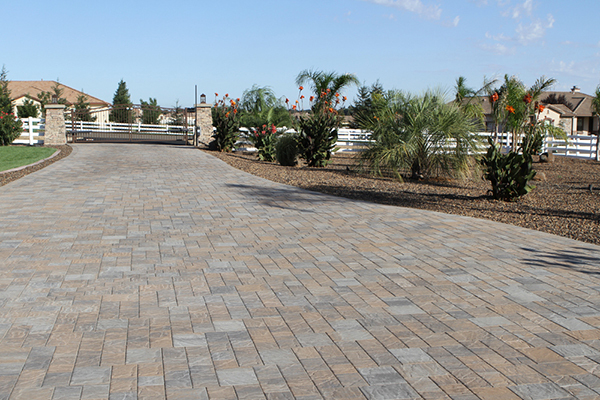 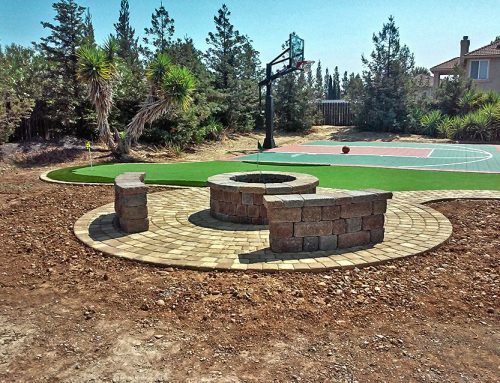 There is one standard paver stone grid design that many people think of when they consider installing this sort of paver stone. 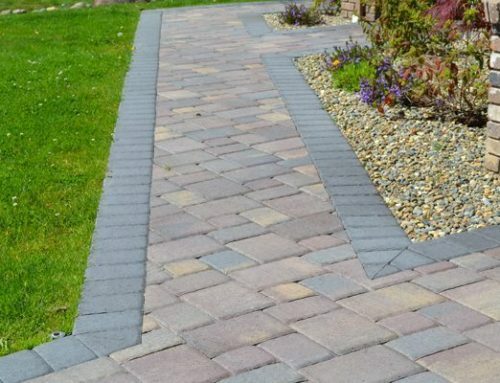 However, there are also many other designs which are simply not as common because they are not used in industrial or public areas. 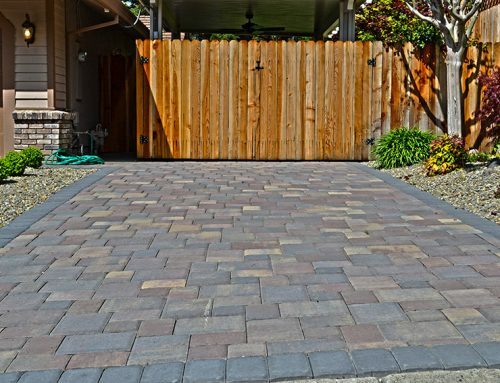 If you are thinking of putting in a paver stone grid driveway, there are lots of different options you can choose from to create exactly the look you want. 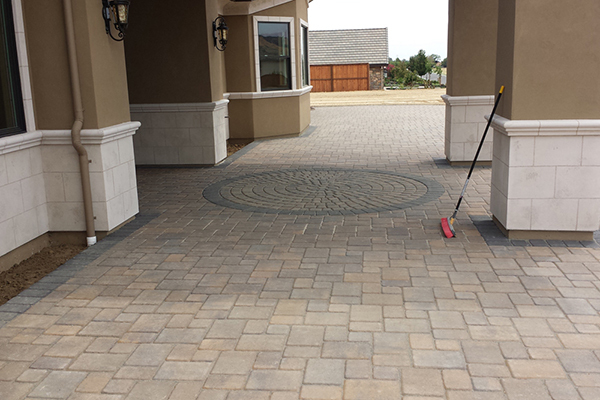 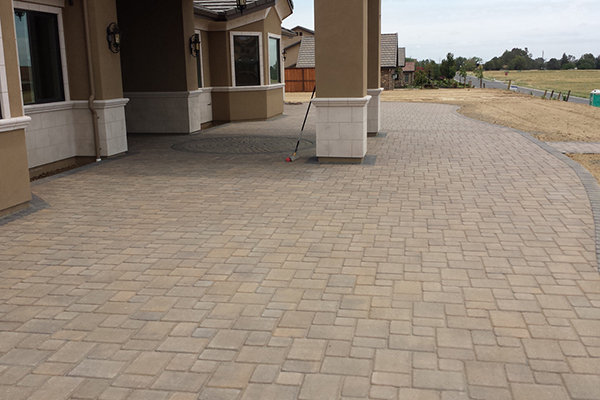 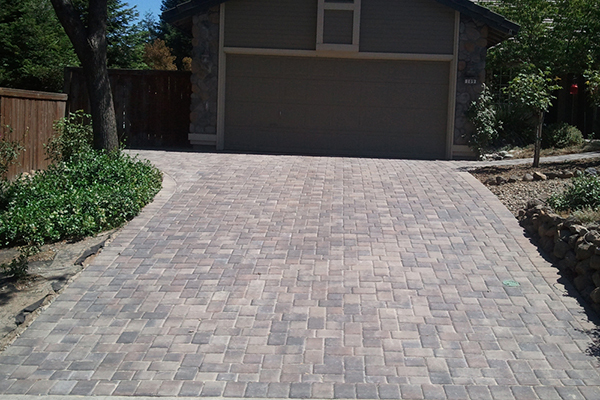 Paver stone grid driveways are by definition water permeable. 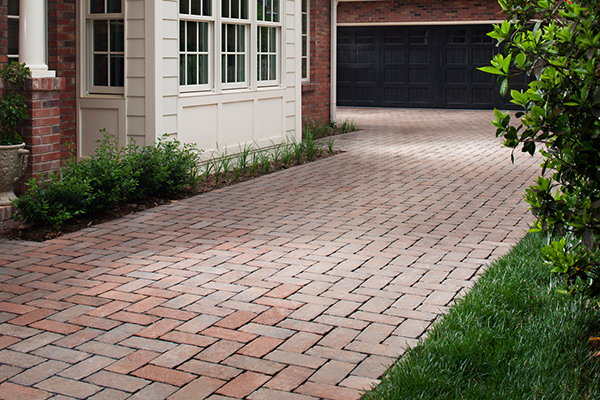 You are not going to have a problem with runoff or slick surfaces with a paver stone grid driveway, because the water is able to absorb right into the ground around the stones. 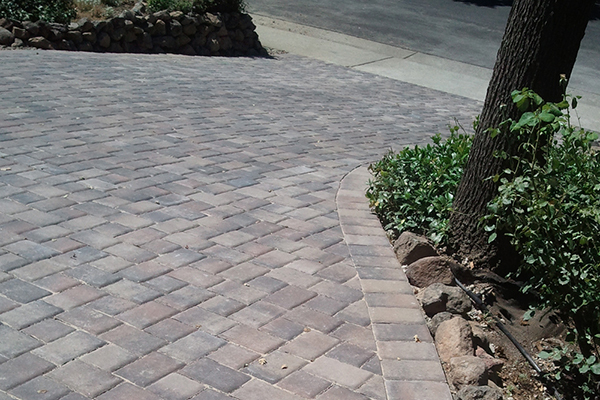 This increases safety and traction, and also decreases the environmental problem of runoff. 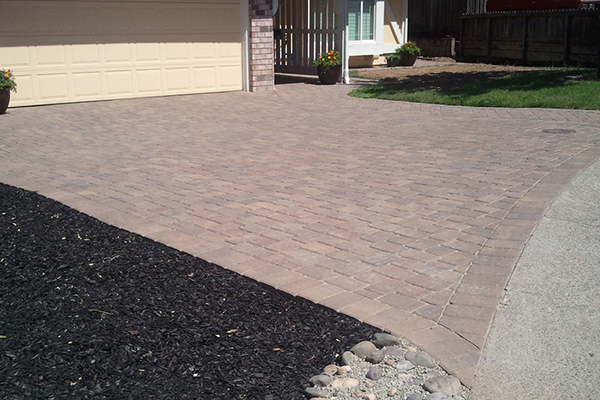 Paver stone grid driveways are not as standard looking as conventional concrete driveways or even more traditional paver stone driveways. 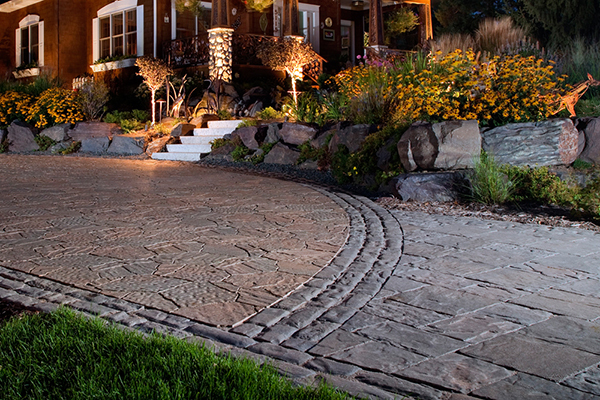 But they do give a beautiful look to your home when you install them. 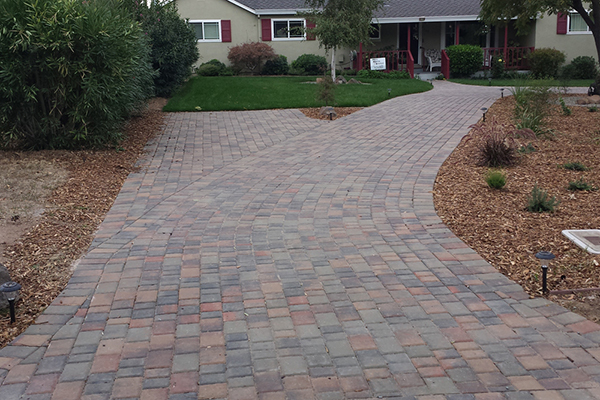 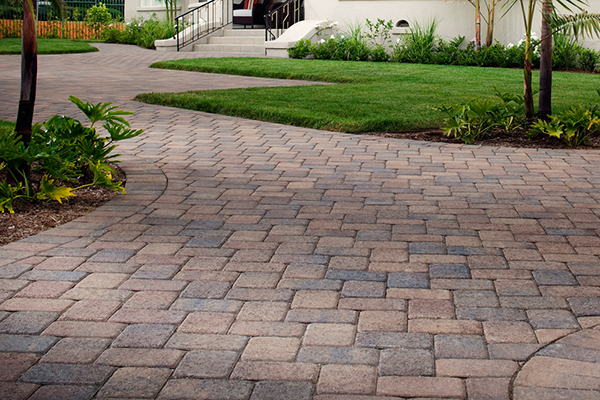 Paver stone grid driveways extend the calming appearance of your lawn through the driveway. 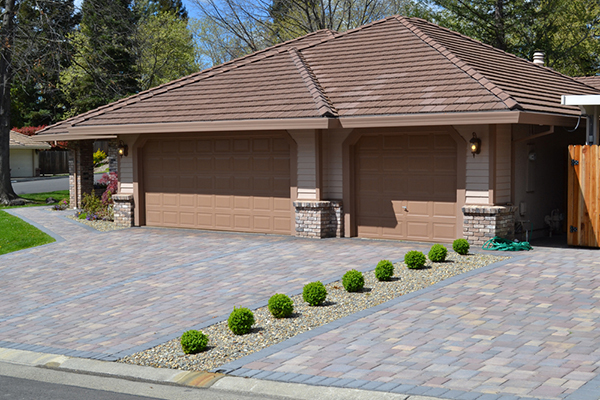 It gives you the illusion of an unbroken lawn across the front of your house, even while it gives you a perfectly serviceable and convenient place to drive and park. 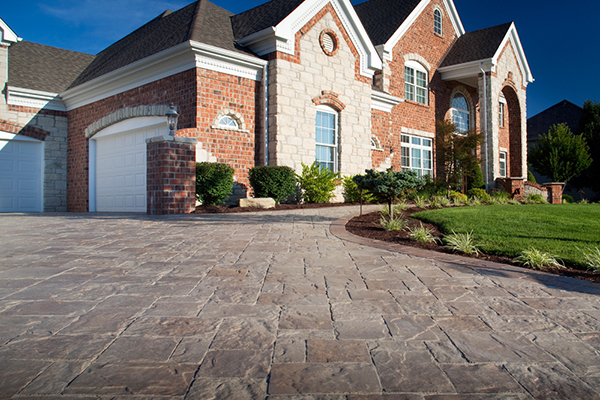 Best of all, it lets you drive there without killing your lawn!